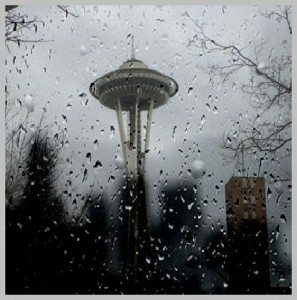 The Seattle long range forecast may be drier overall, but with the approaching El Nino in the Pacific our storm season may be intense. All it takes is one clogged drain to back water up into your home and create a disaster. It’s easy to get prepared with Fox Plumbing & Heating’s handy preparedness checklist. Clear leaves, pine needles and debris from gutters and outside drains, and the surrounding areas. Inspect downspouts in action. You should run a garden hose down your downspouts and run them for approximately 15 minutes, if they do not drain then you should call a local plumbing professional to help. You may also want to consider re-grading the property if this is not easily resolved. This can be a significant source of basement flooding. 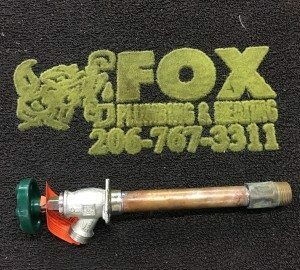 Protect plumbing pipes from freezing by insulating them. Whether outside, in a crawlspace or inside the exterior walls of the house, pipes exposed to cold can crack or burst and properly applied insulation can help prevent that. This is particularly important for manufactured or mobile homes where pipes under the house are most vulnerable. Check your outside hose bibs and faucets to be sure they are not leaking. The outside faucet is plumbed into your indoor pipes, so it is wise to consult a plumber if it needs replacement. Bib covers can be purchased at your local hardware store. Consider turning outside water off for the winter if not needed. Check main water lines for clogs and leaks. Plumbing pipes are under stress in winter, especially when the temperature outside gets cold and the water inside the pipe is warm. With the temperature fluctuation causing expansion and contraction, existing leaks can grow and there can be big messy failures. A plumber can do a plumbing inspection with a camera to view inside your main line and check for problems. They will check fixtures and water lines for leaks, and can recommend which issues are critical to fix before winter. Check the sump pump to ensure it is working. A sump pump is used to remove water that collects in a basin below the floor of the basement. This device pools the water and when it’s high enough to push up a float (like the one in your toilet) that triggers the pump to start. It then removes water, hopefully preventing basement flooding. It runs on electricity, so in the case of a power outage, you will need to hook up a backup power source such as a generator to run it. Just remember; never run a gas generator indoors. Don’t have a sump pump? Many Seattle homes have them and they can be easily and properly installed by a licensed plumber. The City of Seattle asks neighbors to lend a hand by clearing the storm drains on your block. They encourage you to “adopt a drain” on your street and to report any serious flooding. It is not your legal responsibility to maintain city or county street drains but if they clog with leaves and water backs up and floods your property, you will have the headaches. The city provides this phone number 206-386-1800 to call to report street flooding or if you have cleared what you can and still find the drain is blocked. For more information or to have our expert plumbers check your water lines, insulate pipes or install a sump pump, contact us. For general information on winter preparedness for your home visit Take Winter By Storm, a local non-profit resource serving Western Washington.